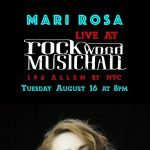 Mari Rosa was born in Boston, USA, daughter of an Italian-Argentine father and an American mother. From an early age, she began to write songs. While attending college in New York, she began to sing jazz and bossa nova in the city clubs, influenced by Elis Regina, Caetano Veloso and Marisa Monte. 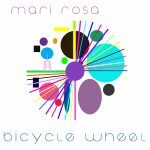 On July 16, 2015, she released her new EP, Bicycle Wheel, inspired by the work of the French artist Marcel Duchamp. The EP consists of five songs with playful and intelligent lyrics and elegant and vigorous arrangements. 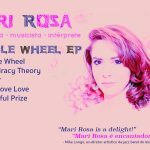 Winner of several awards as performer and composer, Mari Rosa currently lives in Paris.